Title [Sea wall under construction at Yacht Harbor] [graphic]. Location Folder: S.F. Sea Wall WPA. 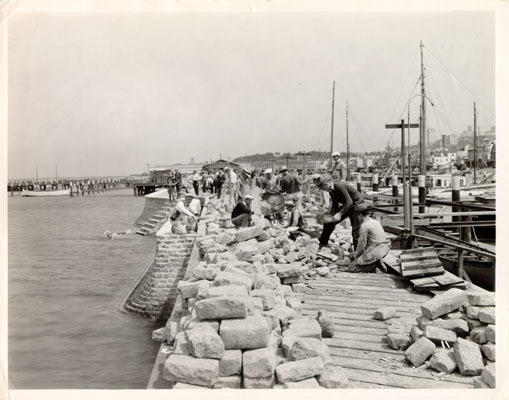 Notes Written on back: "Sea wall under construction. Ed Thornton, sea wall builder of international fame, in charge." Buildings -- Sea Wall WPA.